This painting offers us a glimpse of the artist’s perspective of Singapore’s past. 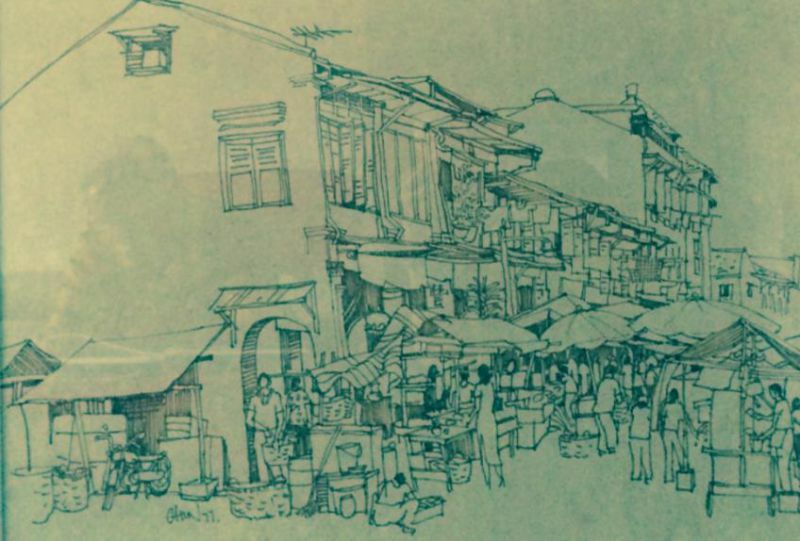 The painting depicts a busy street market between rows of shophouses, possibly in Chinatown. The sight of clothes being hung out to dry in windows, coupled with ladies dressed in cheongsam, adds to the nostalgic feeling this painting brings. I'm interested in this Tew Chew Street by Chin Chun Wah. Please advise availability and price. Thank you.